KIKA AND NINI DESIGNS: A horse is a horse of course, of course . . .
A horse is a horse of course, of course . . . 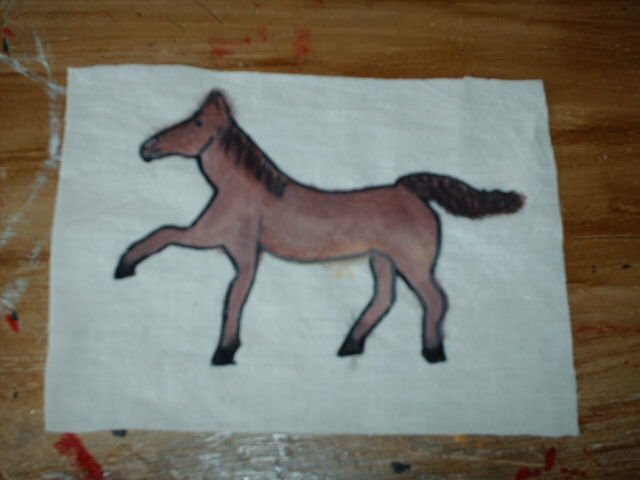 This horse was part of a card I made along the same lines as the flower card below in the previous post. I forgot to take a picture of the finished card before I mailed it out. I eyeballed a miniature plastic toy horse I had when I drew it, and this is how it came out. I'm having fun making these, thanks to Abby of While She Naps.